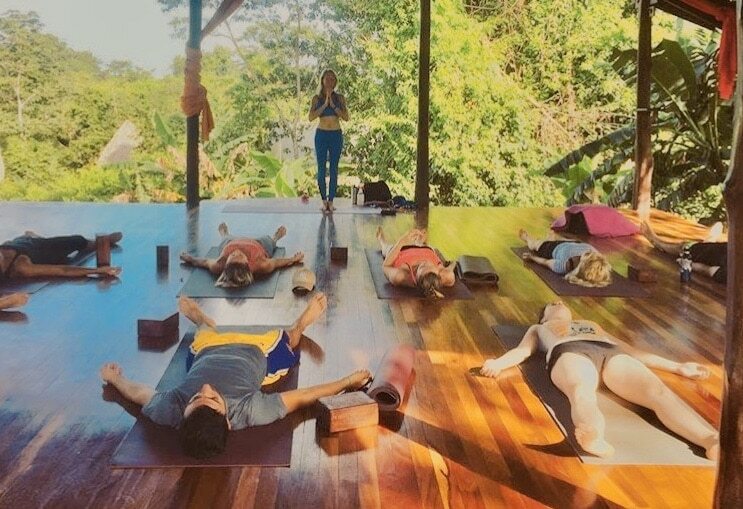 Maybe you need to escape the craziness of everyday life… or you’ve just suffered a difficult life event… or perhaps you simply want to practice yoga in a tropical paradise with your friends. Join us at Anamaya for a week long retreat and let the transformation begin! OPTIONAL WORKSHOP: We are very excited to offer our guests a very special workshop this week. It’s called Self-Love into Super-heroism: Love Revolution Movement. Please see below for more information and cost. JIVANA (Janine Jordan) is a multi-dimensional being, playful spiritual artivist (art activist) and tantrika-yogini. JIVANA considers art a spiritual path, which includes of course, the art of yoga. With the idea that “I am Art”, JIVANA as an avant-garde yogini applies her philosophy of karma yoga to artivism and in addition to spiritual service to the world through embodiment, art, and action. She grew up in Southern California, and was always involved in some sort of dance or physical-art-movement. She graduated from the business school at the University of San Diego in 2002 and then moved to Hollywood. She has been running a holistic environmental awareness non-profit for over a decade which includes several projects in the Southern Nicoya Peninsula: Futuro Verde environmental school, Karen Mogensen Reserve in Jicaral, Wild Sun wildlife rescue and release center, and now the Green Wave environmental show home. Interestingly, she attributes finding her yogic path and being empowered to start and continue her non-profit work to an art project she started in 2004 that revolves around the superheroine character and muse, Raver J. JIVANA uses writing, dance-performance art, digital media, and collaborations with artists to raise awareness about important issues, inspire people to feel empowered, and act selflessly to change the world. JIVANA moved to Costa Rica with her husband two years ago and have built an eco-show home and mini-permacultural farm in Anamaya’s supporting eco-village, Rancho Delicioso. They occasionally travel to festivals and conferences to speak about their experiences. JIVANA likes to share the path of the spiritual artivist and show people how they can tap into their inner superhero/ine. Through her upcoming fictional autobiography, JIVANA is pioneering rave culture literature, and hopes to inspire and continue to build a global community of artivists – peaceful, playful, poignant, warriors of the rainbow dedicated to transforming the world. 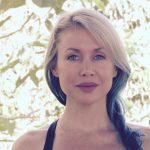 Through her karma yoga work, JIVANA is a living example and inspiratrix for others to lead a more conscious, intentional, beautiful, and blissful existence while balancing the call to help save the planet in their own unique and creative way. Her teaching is heart-centered, Earth connected and reverent. She will make you a superhero/ine. Her flows are slow-flow vinyasa based with kundalini breath work. The morning classes are strong but good for all levels. Her evening classes are gentle and creative. She teaches about self-love, gratitude, embodiment, and “off the mat” action through her asana classes, workshops, and private consultations. Her classes have been influenced by her teachers. JIVANA has studied with Ana Costa (San Diego of Anahata Heart Yoga), Psalm Isadora (LA, Tantra yoga), Peter Kaaberbol (Anamaya), and the extensive readings from John Lamb Lash (Gaian Tantra), Guru Rattana (Kundalini teacher of Yoga Technology) and Paramahansa Yogananda (Self-Realization Fellowship). Learn about the principles of self-love with exercises and strategies that can easily be applied from home. This class is an overview of personal care practices, holistic health (breath, touch, nutrition), and empowering embodiment philosophy and rituals. Leave this workshop with a full and radiant heart ready to shine your heart-centered superpowers out to the world. You’ll enjoy this workshop with live music and aromatherapy based on availability of collaborators. ***Private Yoga Classes are also available for $70/hour.